Paul Walmsley, the Director of the Primary Partnership, has now sent this money to Sister Susan. She will use this to support the pupils once the new school year begins in January 2013. Pupils who are being supported regularly send cards to say thank you to individuals and schools that support them. In addition, Sister sends the school reports to the Director for distribution. 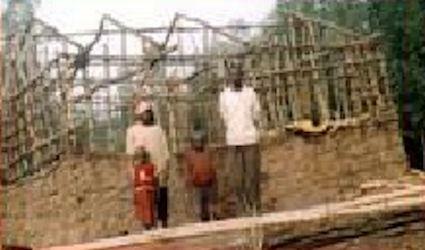 Total support required for work in Rwanda this year is £5300.00. Sixbert's dwelling for his family of six. 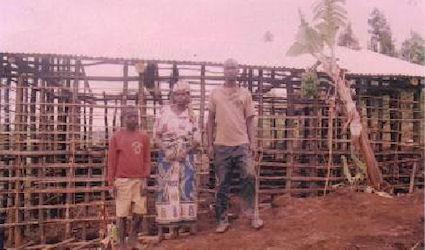 Sixbert and family at the start of their rebuild. Sixbert’s house with the roof being put in place. Sixbert’s house with the roof finally in place. 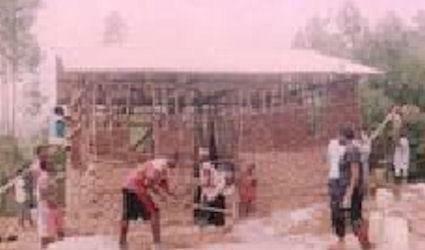 Schoolchildren help with the building of walls for Sixbert’s house. 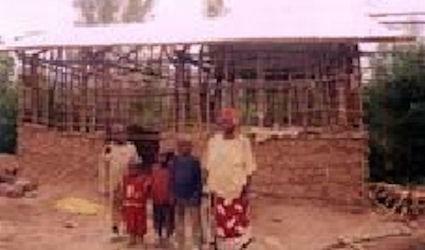 Mariya with her children during the placing of metal roof sheets. 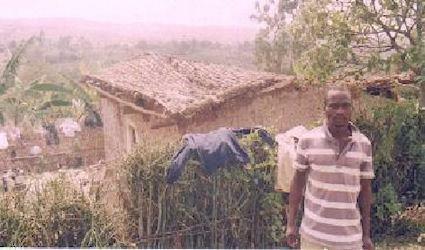 Alexia’s son, Ephraim, with his original dwelling in the background with the roof caved in. 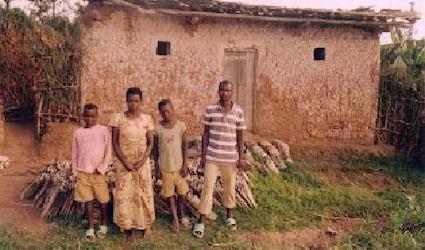 Alexia, her children and the condemned dwelling. 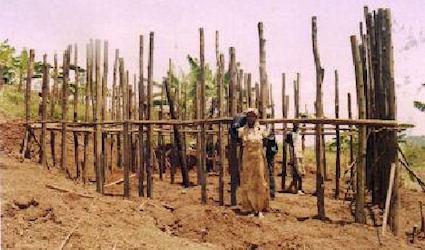 The start of the rebuild of Alexia’s house. 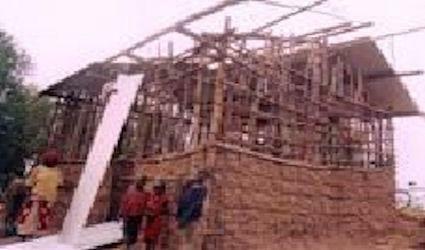 Putting the roof on Alexia’s house. The walls have started to be built. This work is on-going at this moment in time. 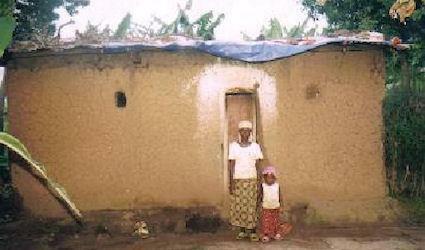 Xaverine with one of her children in front of her house. 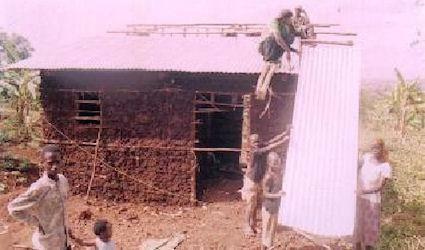 Plastic sheeting is being used for a roof. 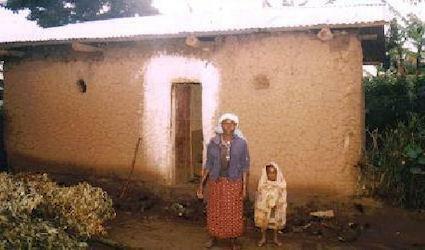 Xaverine with her other child in front of the house after the roof has been replaced. The Director recently visited Tanzania to finalise the school building project, approve the plan, ensure sustainability and meet all concerned with the building works etc. The Sisters in Tanzania now urgently need to build two classroomsand a toilet block to accommodate children starting their junior education. 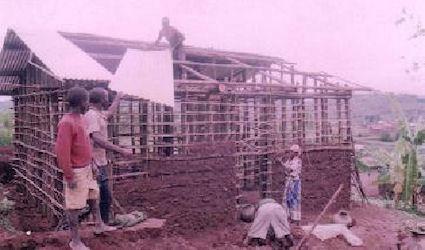 Children in the Junior 1 class are already receiving their education in a renovated building. 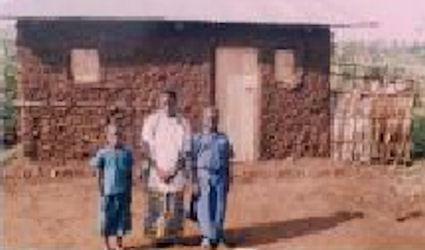 The approximate cost of building two classrooms and a toilet block will be about £20,000.00. 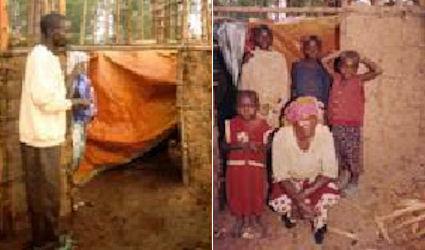 The total needed to meet the commitments in Rwanda and Tanzania, is therefore £25,300. If you are interested in sponsoring a child’s education costs, please contact the BCPP Director, Paul Walmsley. Paul Walmsley would also welcome the chance to visit schools or parishes to talk about the Rwanda and Tanzanian projects. Again, just contact him.